Business process outsourcing or BPO in India has evolved from its early 'sweat-shop' image to the status of a strategic differentiator in the global marketplace. Business process outsourcing has changed the way the world does business. BPO is the contracting of a business task to a third party service provider. Back office outsourcing refers to internal business functions like billing or purchasing, while front-office outsourcing includes customer-related services such as technical support, marketing and customer service. The focus in BPO is on reducing transaction costs, optimizing process efficiency and providing size and scale to handle a large volume of transaction processing engagements. At Outsource2india we offer a range of BPO Services such as, call center services, data entry services, engineering services, finance and accounting services, creative design, web analytics services, healthcare BPO, photo editing services, software development, research and analysis services and a host of other additional services. BPO is as old as business itself. Businesses have outsourced their distribution or marketing to third parties for centuries. It is the opening up of the global economy that has catalyzed the growth of BPO to its present stature as a key driver of business competitiveness. Today Business Process Outsourcing is known by many other names, among the popular marketing terms being: sourcing, global outsourcing, right sourcing, rightshoring, nearshoring, bestshoring, offshoring. Whatever the business world chooses to call it, business process outsourcing is a proven management strategy helping businesses survive and thrive in the boundary-less global economy. 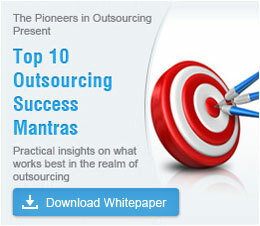 India has won its spurs as the world's outsourcing destination of choice. Currently the country has a commanding share of the global outsourcing market. Services outsourced to India include the functions within administrative support, inbound call center services, technical support, document processing, financial and accounting Services, intellectual property research and documentation, supply chain management, legal process outsourcing, regulatory compliance documentation, medical transcription, payroll processing services, sales and marketing, publishing, research and analysis, infrastructure and facilities management, human resource management and training, the list goes on. India's BPO industry has evolved and matured to present higher-end services that require judgment-based analysis and domain expertise, rather than function-specific, rules-based performance parameters alone. As service providers strive to offer end-to-end services, we see BPO falling into different segments. At one end of the spectrum is the traditional rules-based transactional outsourcing; while at the other end is judgment-based transaction processing and full-service business process outsourcing. India has competencies in all the segments. Some BPO service providers have developed vendor-centric business models where they offer specialized services under one roof by representing the services of multiple specializing in different verticals. Others are niche players that have adopted vertical-specific models to address the needs of a specific industry. BPO horizontals are function-specific and could spread across different industry domains. Payroll processing services, data processing services and tax solutions are examples of horizontal BPO. Vertical BPO concentrates on functional services in specific industry domains such as manufacturing, retail, finance and accounting services and healthcare. Captive Offshore Delivery Centers or CODCs in India have been pioneered by large multinational companies (MNCs) like GE Capital and British Airways, Dell and American Express among others to maintain control and ownership over core or mission-critical outsourced business process as well as over proprietary or competitive knowledge. Third-party outsourcing service providers give captives a run for their money as they offer the advantages of lower costs, flexibility and competitive pricing while maintaining quality standards. Also called Blended outsourcing, it combines onsite, offsite, onshore, and offshore resources. Large multinational outsourcing service providers offer this model where work can be "bestshored" or "multishored" to the location where optimal cost and labor efficiencies are met to predetermined performance standards. In case of a disaster in a particular region, work can be immediately transferred to another region to ensure on-going, interruption-free business processes. Leverages onsite-offshore efficiencies to delivers results to clients at reduced costs. Clients are involved in the process as the Global team of the offshore vendor works onsite alongside the client's team to perform around 20% of the work while the Local team executes 80% of the work offshore to leverage the cost, labor and time-zone advantages of outsourcing. Uses multiple offshore suppliers to offset the risk of a single monopoly supplier. Users of this model typically have their own offshore operations, plus three or more partner outsourcing vendors with whom they collaborate. The partners get first-hand training on how the outsourcing company operates its hub center, and then apply their learning at the spoke centers. The client partners with an offshore company to set up and operate a foreign outsourcing subsidiary with the option to transfer ownership back to the client company after a specified time period. The risks of setting up an outsourcing subsidiary in a foreign country are completely borne by the partner company which takes care of the costs and ownership of the new venture until such time as the client chooses to take it over. Global shared services centers, also called offshore insourcing or captive centers create huge service enters from the company's internal service operations resources. They also have assured markets for their services. These centers can be run as independent businesses and have the advantages of a similar corporate culture, with less of the control issues that third-party BPOs face. Indian BPOs are moving up the value chain to offer higher-end services, end-to-end business process outsourcing and domain-specific expertise. This has given rise to segments like Research and Analysis outsourcing, LPO (legal process outsourcing) ESO (Engineering Services Outsourcing), HRO (Human Resource Outsourcing), RPO (Research Process Outsourcing), MBPO (Medical Business Process Outsourcing), FAO (Finance and Accounts Outsourcing) and more. The list will only get longer as outsourcing service providers get more specialized in their offerings. Forward-looking global companies are using BPO in India as a business strategy to effectively meet critical business challenges. Moving beyond commodity BPO services and support functions such as voiced-based services and F&A support, BPO providers in India are offering a slew of high-end business services to accelerate innovation and provide sustained value. These include complex functions such as engineering design, equity research support, and pharma research. Indian BPOs now assume full process management responsibility in processes like revenue cycle management, to provide greater value in business verticals like healthcare and BFSI (banking, finance & accounting services and insurance). This results in Business Transformation Outsourcing or BTO - a strategic partnership between the customer and the outsourcing service provider with sophisticated financing methods in place. The customer's firm acquires strategic stakes in the outsourced operations, thus sharing risks and gains with the outsourcing service provider and creating increased business worth for both partners. BPO vendors are using Business Intelligence (BI) to add value and achieve sustainable business process improvement - to track and analyze trends and changes, to trigger appropriate management action through alerts, to deliver targeted, on-time information, to increase revenues, to retain customers, to reduce risks, to improve employee efficiency and productivity, to exceed SLAs, to optimize processes, uncover new opportunities and help the business grow. Buyers and providers of outsourcing services are using sophisticated financial mechanisms and business intelligence among other methods to achieve their outsourcing business objectives. Both parties want to minimize risks, increase operational efficiencies and boost revenues. An integrated approach helps achieve win-win solutions. A shift away from fixed-price models, as service providers offer bundled services or move towards higher-end strategic processes. Thus a shift in focus from reducing costs to providing greater business value. Greater focus on industry verticals and domain expertise (judgment-based services) rather than function-specific, volume-driven processes driven by business rules. At O2I, we provide high-quality BPO services that can tremendously increase your ROI, while reducing your operating costs. You can also benefit from the skills, knowledge and experience of our professional teams. Outsourcing can help your organization concentrate more on your core business functions and you can save on time, effort, manpower and infrastructure. Outsource to O2I and increase your business value.